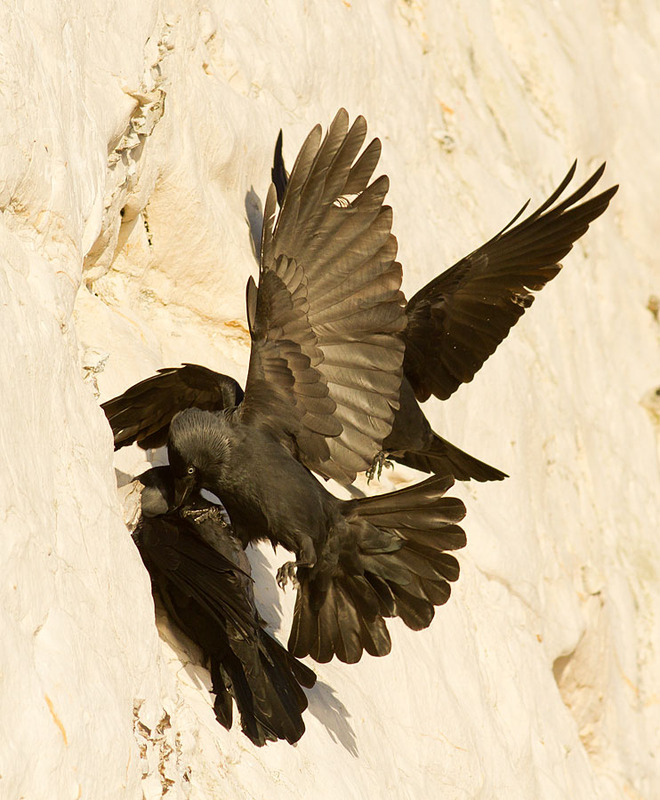 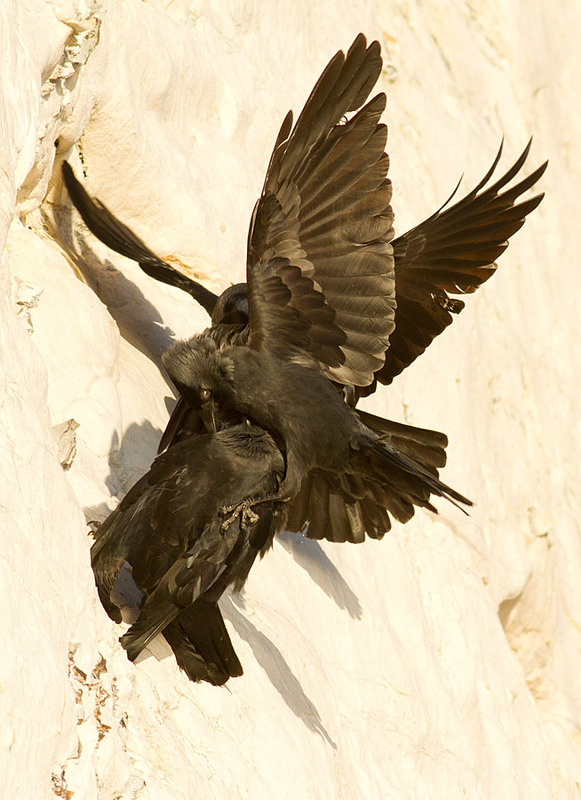 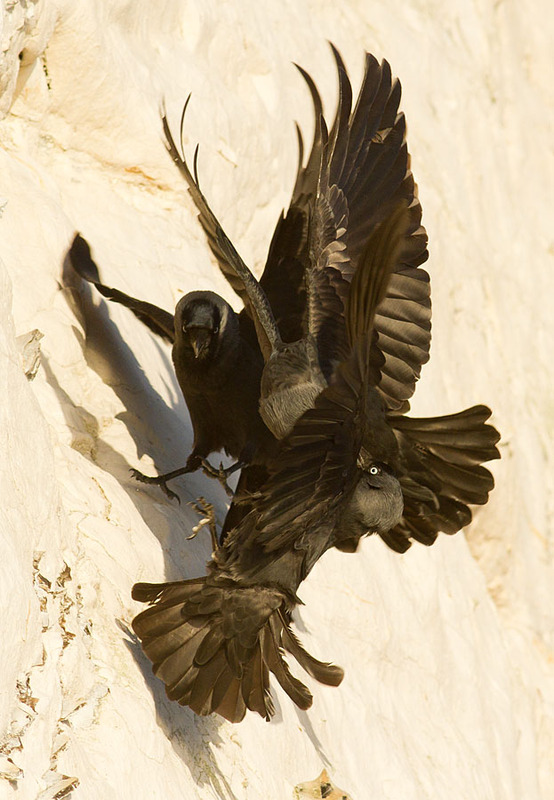 A member of the corvid family, the jackdaw (Corvus monedula) is a highly sociable bird. 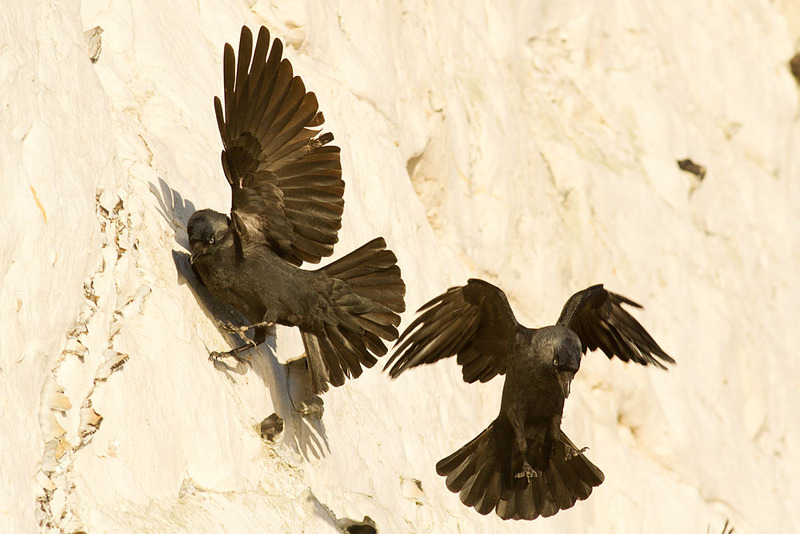 Smaller than either crows or rooks it is easily identified by its pale blue eyes and high-pitched ‘jak jak jak’ call. 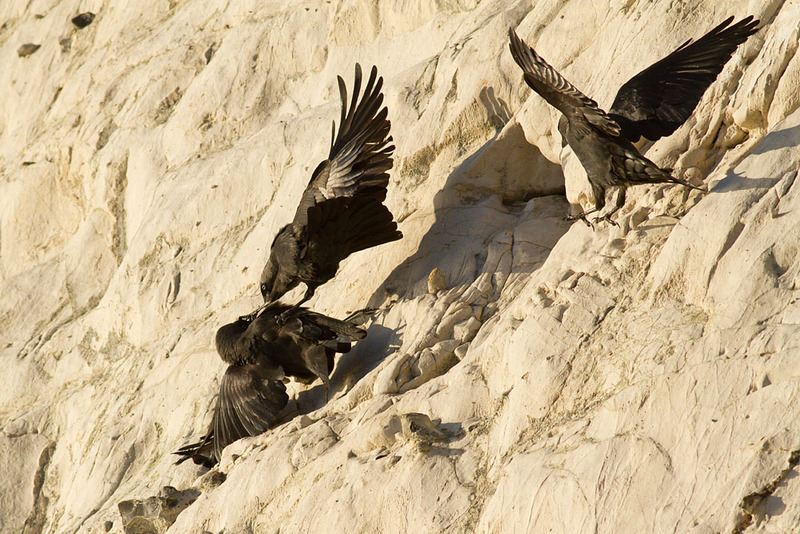 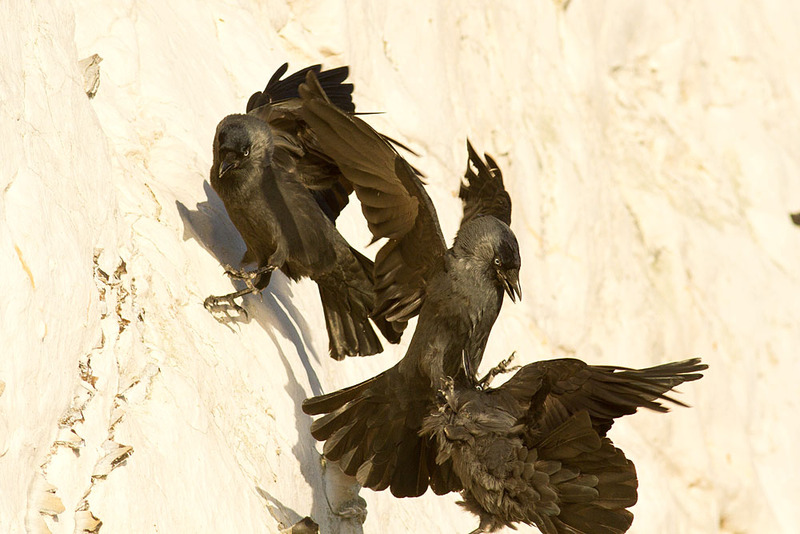 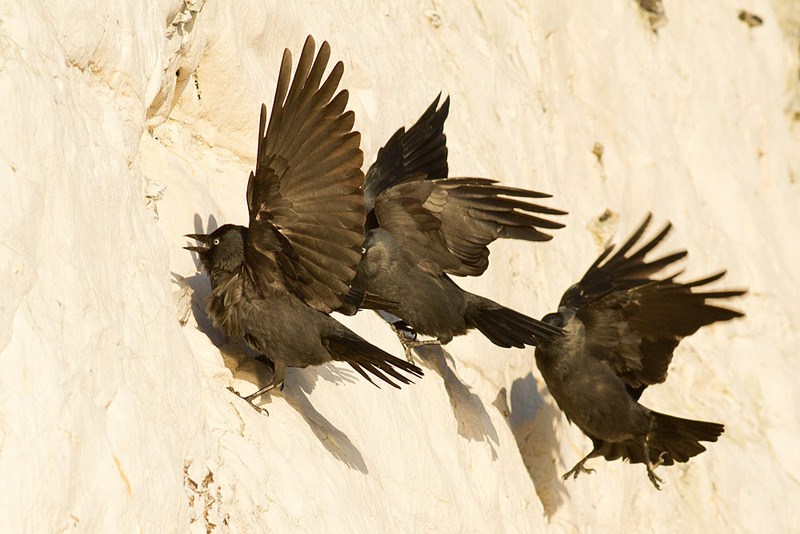 Living in large social group, often in rocky crags (castles and cliffs are common locations), they also tend to be highly competitive. 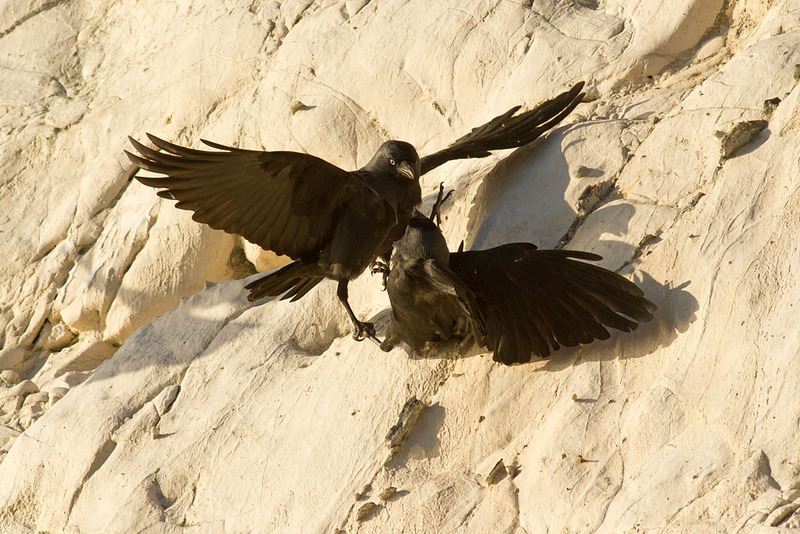 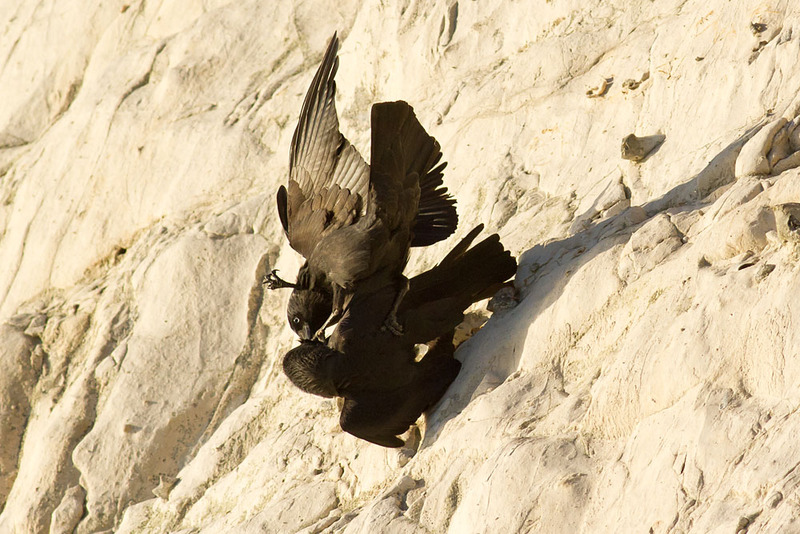 These shots were taken in November 2011 at the cliffs at Rottingdean, East Sussex.